I love a fragrant slice of Armenian nutmeg cake. My mum has been making it for years, since I was a child, and now I have also been making it (although can’t seem to get it as perfect as my Mum’s). Like most cakes, there are always changes people make to recipes, and our recipe differed from the one mentioned here in two ways that I can think of. 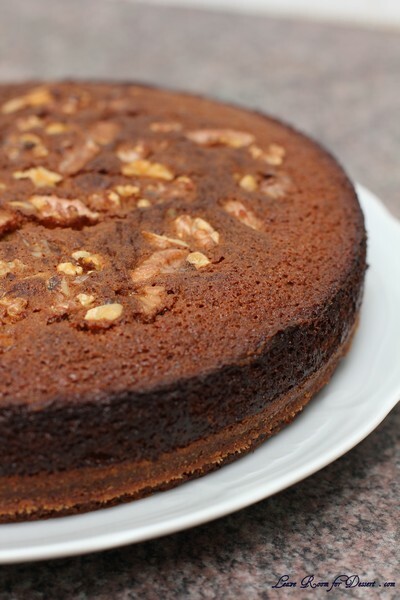 This cake has walnuts on top, whereas ours has slivered almonds. Both are a great addition to the cake. The other change my Mum made to the original recipe she was given by a friend, was only using 1/3 of the mixture for the base, making a thinner base (depending on your preference, this may be an improvement, or perhaps not), I’ll leave it up to you to decide. I enjoyed making the nutmeg cake to someone else’s recipe and obviously enjoyed eating it, as it has a lovely spiced flavour. The Nazook was an exciting addition to this months challenge, and was the first of the two recipes for me to try. 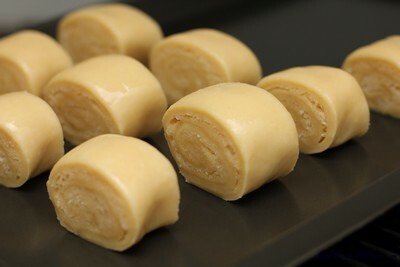 The pastry was quite easy to make, which I placed in the fridge overnight (it required quite a bit of work to get it soft enough to roll though as it was quite solid). 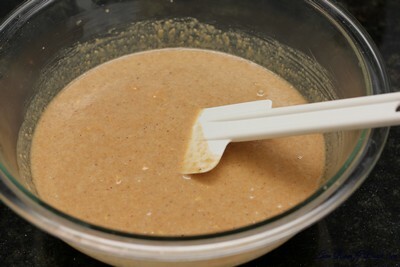 The mixture for the inside and the assembly was also quite easy. 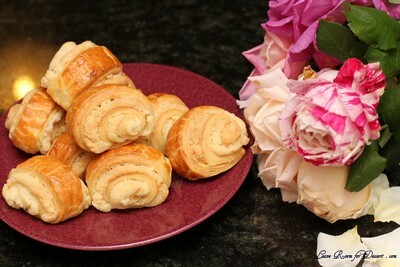 When the pastries came out of the oven the fillings had come out a bit, and didn’t look as together as I had expected. The taste was lovely, and they were best eaten on the day of making. Jason’s Recipe Source: The nazook is my Aunt Aida’s recipe. I’ve tried a LOT of nazook, and have to say hers is the best I’ve tried. 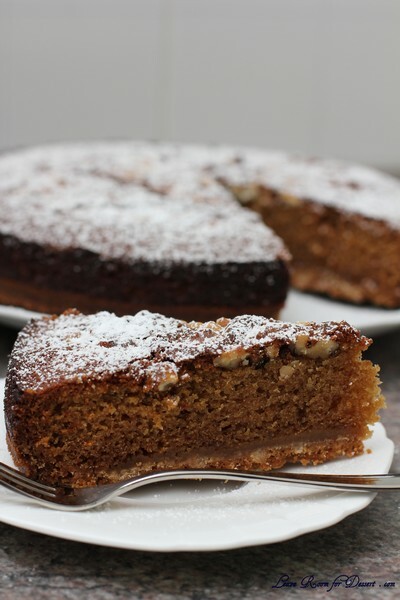 The Armenian nutmeg cake is adapted from a recipe for the same in The Commonsense Cookery Book, by the NSW Cookery Teachers’ Scholarship Fund. 20. Allow to cool and enjoy! 9. Toss the nutmeg in with the egg. 13. 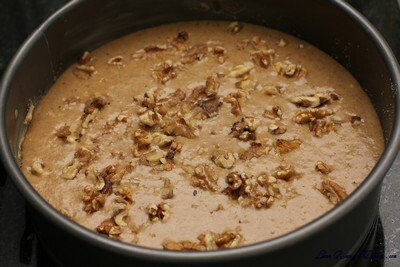 Gently sprinkle the walnut pieces over the batter. Freezing/Storage Instructions/Tips: Nazook will keep in an airtight container at room temperature for a couple of weeks, and the Armenian nutmeg cake will keep (covered) at room temperature for 2-3 days. Both taste even better still warm from the oven. 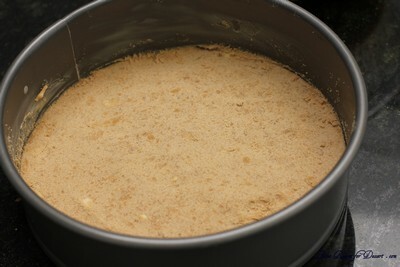 Allow to cool completely before attempting to freeze. Nazook will freeze best if put in a freezer bag with all the air squeezed out. Armenian Nutmeg Cake will also freeze fairly well if completely sealed. Both can be frozen for up to 3 months. 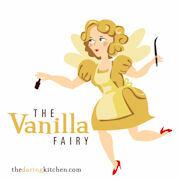 Both recipes might be able to be adapted to be gluten-free and/or vegan, although I have not tried myself. Gluten-free flour, coconut oil (instead of butter), pureed silken tofu (instead of sour cream), and nut milk (instead of egg yolk) might be useful starting points. 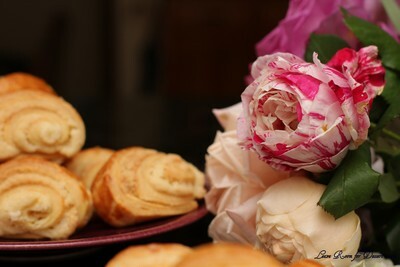 Filed under Cakes, Slices and Biscuits, Daring Bakers, Dessert, Pastry, Recipes. You can follow any responses to this entry through the RSS 2.0 feed. You can leave a response, or trackback from your own site. Great job! Both your cake and nazook look great! I loved the cake, and will definitely be making it again! 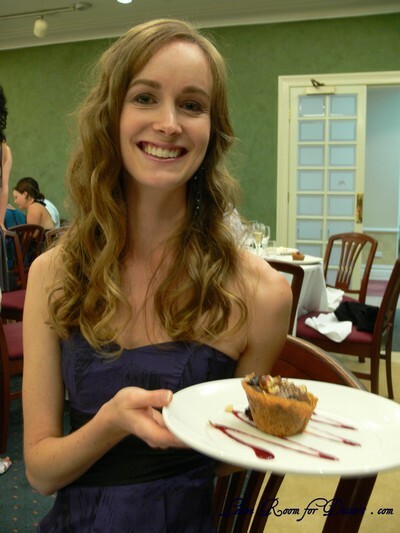 Your desserts are beautiful! Nice job on the challenge! 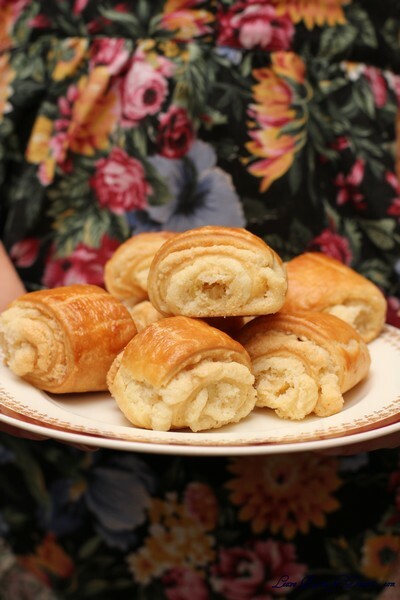 I’ve never seen anything like those little pastries before – they look delicious. As does the cake – great challenge! Both of these look gorgeous! 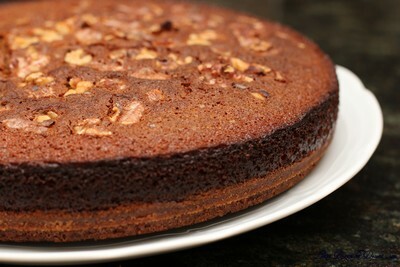 I imagine that the nutmeg cake would be just as wonderful with almonds. So glad you made both. The nutmeg cake is really intriguing. Fun to read your mother made it. I like the sound of the spicy cake! 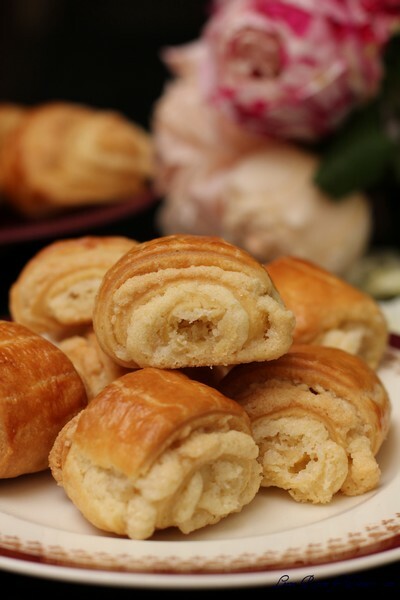 The pastries are very cute. 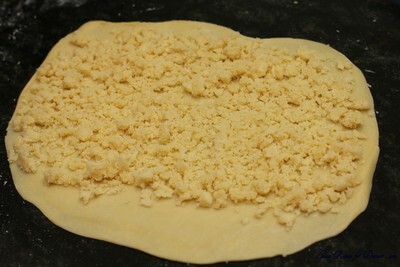 Did the dough rise much in the fridge? Hey visiting your blog after a long time 🙂 the nutmeg cake looks so delicious..I could smell it from here! btw m gonna make your butterscotch cake very soon.will let you know 🙂 thanks!